Bali is full of amazing culture and full of exciting places to explore. You will have plenty of time to take excursions to waterfalls, snorkeling, scuba diving, market shopping, volcano hiking or whatever you choose. The people of Bali are extremely friendly, warm and welcoming to everyone. Imagine waking up to the sounds of the local temple prayers and ocean waves rolling onto the beach just a few hundred feet away. 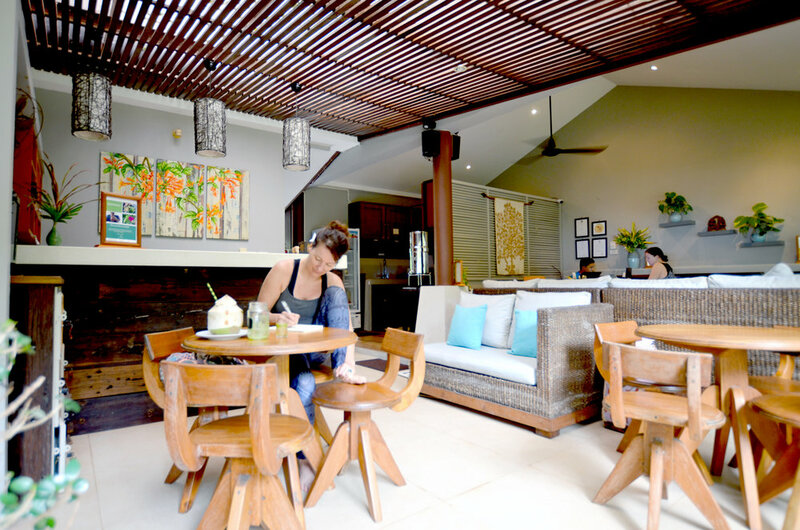 We will spend time each morning soaking up the essence of Bali with a fresh cup of tea or coffee. Quiet time with meditation that leads us all into a strong asana yoga practice and the rest of the day will be up to you. Your schedule is truly up to you. You always have the freedom to spend the full day traveling around the island or to relax and stay at the resort and nearby villages. This retreat center is also a scuba diving training center with diving pools and excursion trips to book if desired. *Airfare is not included in this retreat. Regardless of which room you stay in, the yoga shala, restaurant and lounge, swimming pool, and beach are only one minute away. You'll make life long friends and memories for a lifetime at this retreat. Airfare Recommendations: Consider booking your flight from Los Angeles (LAX) or San Fransisco (SFO) to DPS / Ngurah Rai International Airport in Denspasar, Bali. This will likely give you a much better airfare than booking straight from DFW to Bali. The retreat center will coordinate a shuttle to pick up and transfer you from the airport to the retreat center.